Finally…after what feels like the longest thaw-out ever, Spring is upon us. 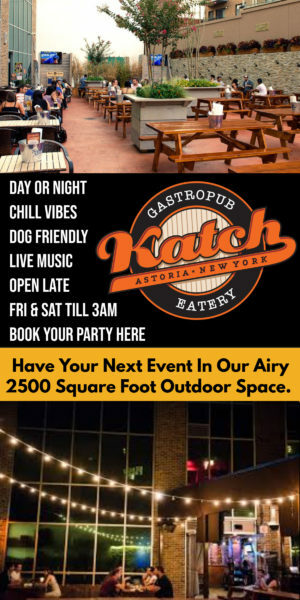 To celebrate, our friends at The Astor Room are opening their outdoor area in a big way—with tons of fun events all starting next week. It’s all about getting outside, having fun with friends, and tasting new menu items. 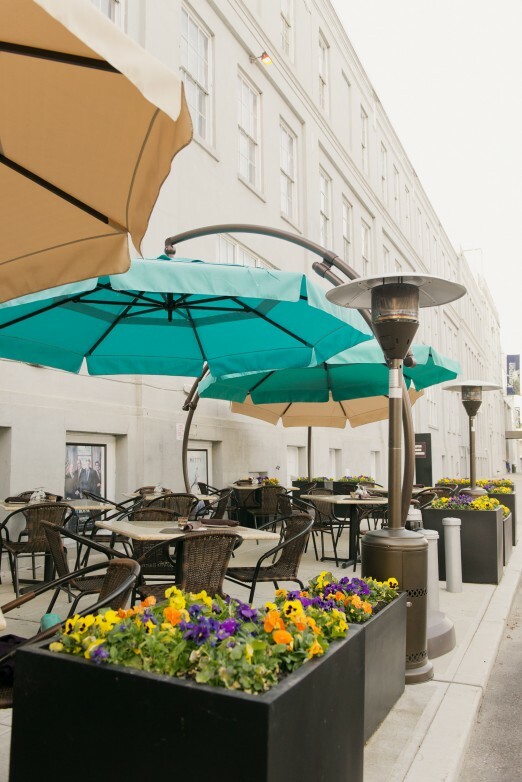 Wednesday, May 6: The fabulous Actoria Cabaret is moving outdoors-hilarity to ensue! 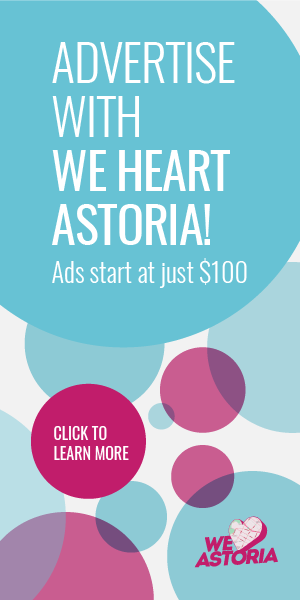 Sunday,May 10: Take Mom out to Celebrate! (It’s Mother’s Day ya’ll) A fixed brunch with unlimited Mimosas and Bloody Marys. Kids & Mom’s eat at ½ price! We got a special preview of some new cocktail additions and exciting new menu items that will make their debut during next week’s Outdoor Dining extravaganza! Once again we give major props to the photo-taking genius that is Marielle Solan! 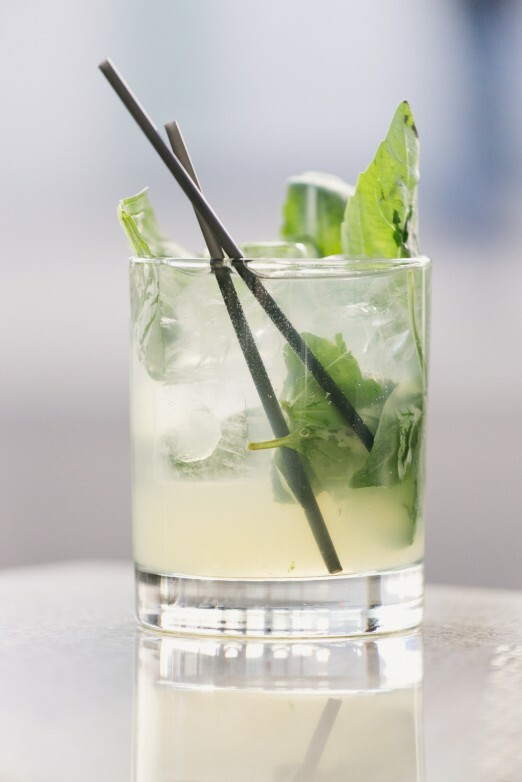 The Rangoon Gimlet will be on display during our Happy Hour this coming Thursday. FYI, this one is really easy to drink. 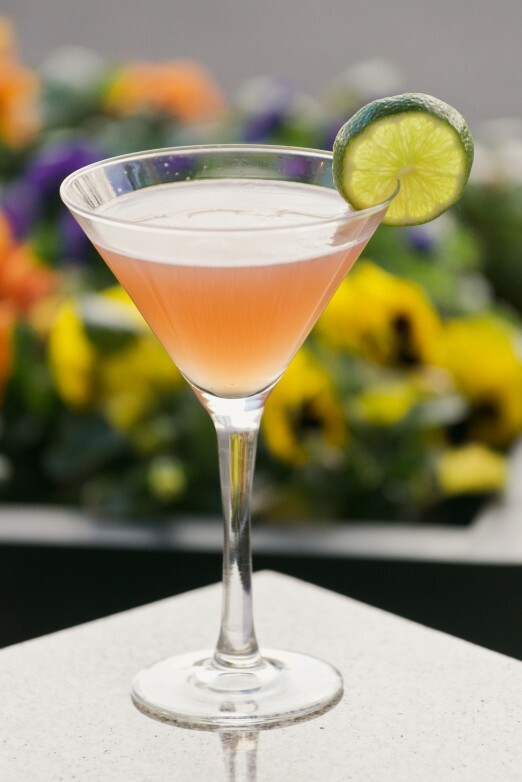 Although I really loved the Ragoon Gimlet above—I believe this Georgia Georgia was Meg’s favorite. Made with fresh, basil, lime, rosemary syrup, Fee Brothers orange bitters, and Fords Gin. It was perfect to sip while watching the sunset. We need to pause and talk about this. It’s a cup of maple candied bacon. Think sweet, a little salty, with a great chewy texture, I mean, we killed this cup. This wonderful bacon essentially acts as The Astor Room’s “peanuts” on the bar. It’s the perfect accompaniment as you sip a fancy cocktail—or alcohol of any kind. 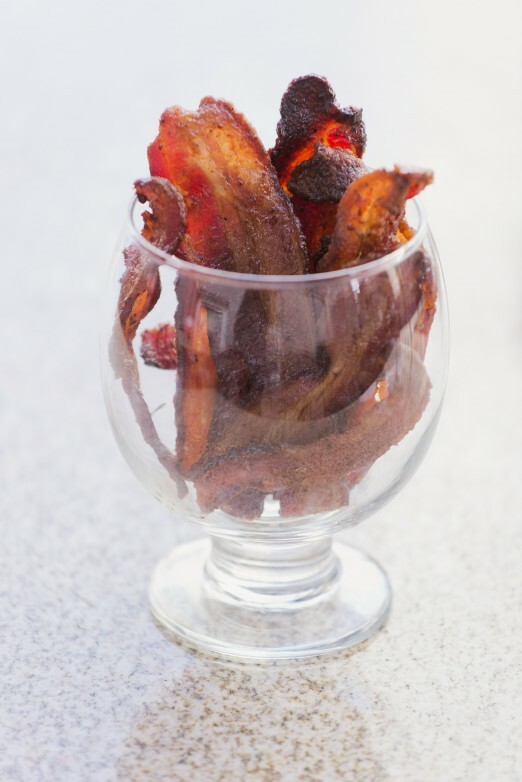 Come for the cocktails during our Happy Hour but stay for the bacon…seriously. 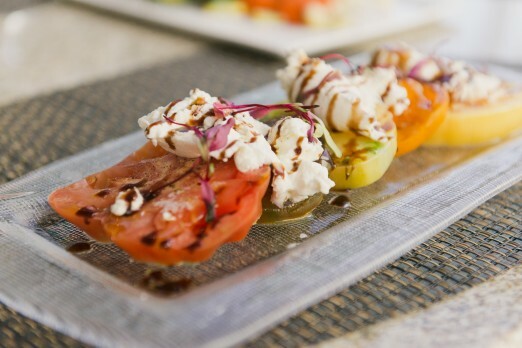 Heirloom tomatoes with burrata cheese with a balsamic reduction drizzle. Simple yet satisfying. If you think spring/summer your mind automatically thinks about grilling-right? 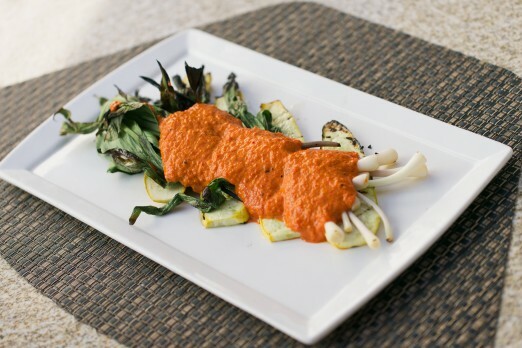 These grilled spring onions with zucchini, covered in a Romesco sauce were a hit with my tastebuds. Full disclosure I really like onions—grilled, fried, and raw, it doesn’t matter. I especially enjoyed the “skinny” asparagus, grilled and topped with poached egg. 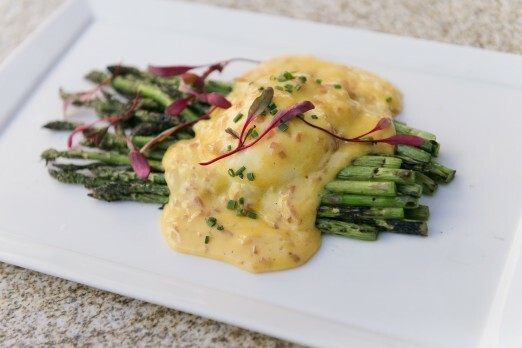 The egg was a wonderful compliment, adding additional richness to the dish. 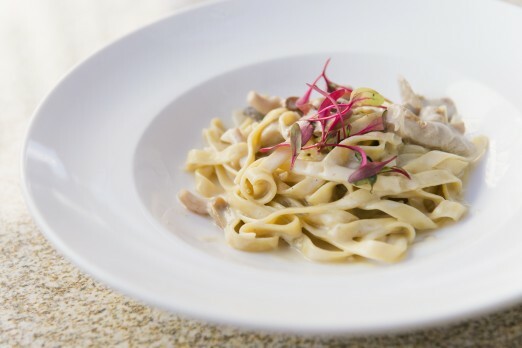 Homemade linguine with wild mushrooms in a light cream sauce. 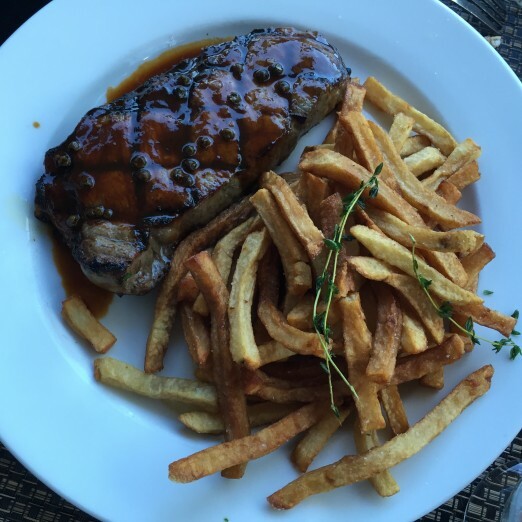 Though the sauce is creamy, it’s added so sparingly that it doesn’t feel heavy. You can tell THIS pasta doesn’t come out of a box. 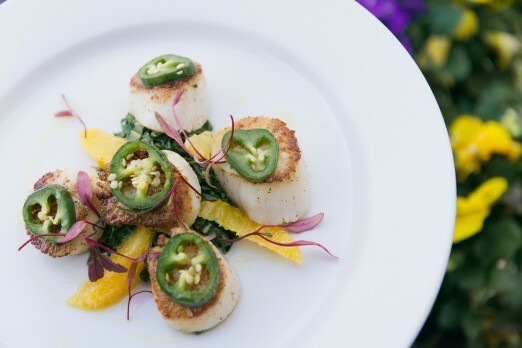 Don’t fear the jalapeños on these scallops, as they’re flavorful without overwhelming heat. There was also a little citrus hit with the orange slices and they also were placed atop sauteed collard greens. I respect people that gush about the deliciousness of a quinoa salad or side, but generally that’s not me. 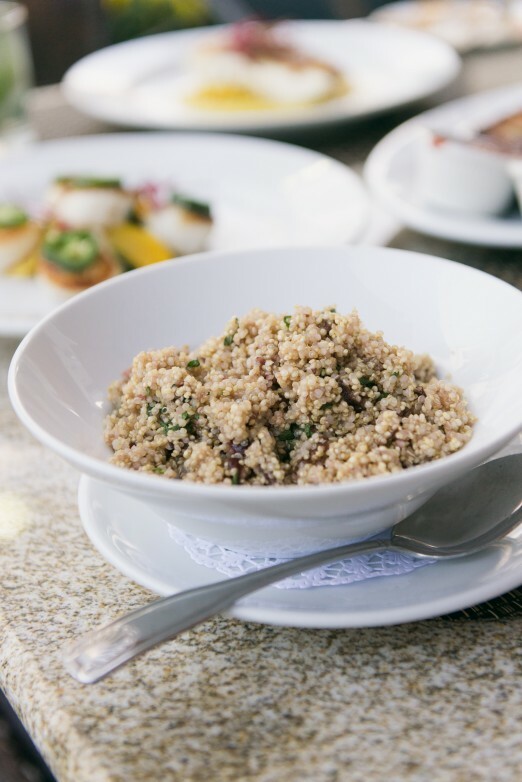 However I really LOVED this cranberry and mint quinoa side dish. So much so that I asked for a to-go box so I could take it for lunch the following day. The mint gives it a unique freshness. True story: while sitting outside enjoying the meal, a friend of WHA went walking past our table. We invited them over and they happened to sit in front of this Red Snapper stacked atop corn fondue and freshly fried corn. We told them to take a bite; they refused; we once again told them to take a bite. You know how this goes; back and forth until it was socially acceptable for them to take a bite. The words out of their mouth were “WOW this is really good fish.” They took two more bites without encouragement. That sums up our sentiments on this dish. 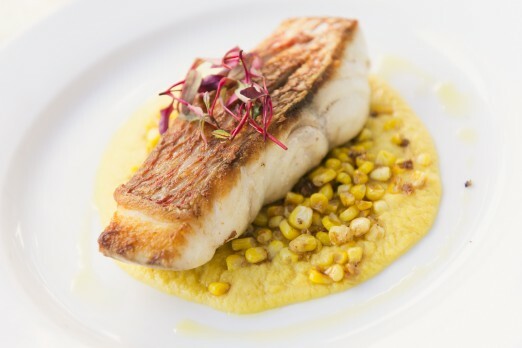 Solidly prepared fish and the corn gives it a great summer flavor. 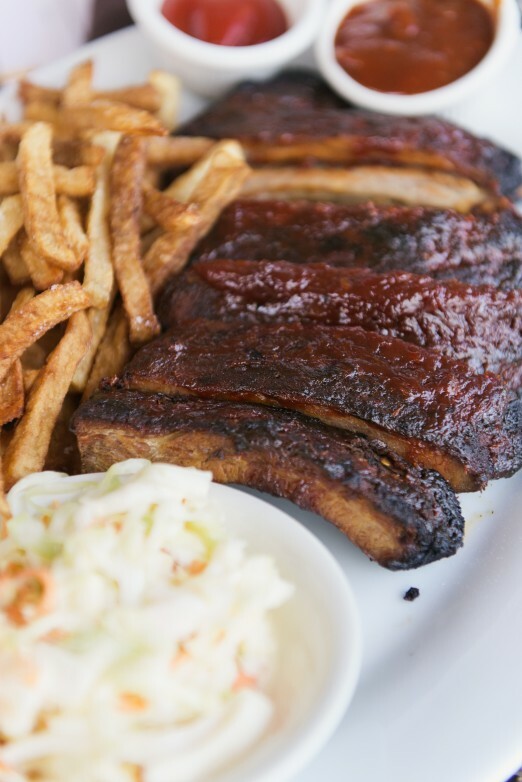 Back by popular demand, Baby Back Ribs served with homemade BBQ sauce, thyme fries, and coleslaw. I know the saying is cliche…but yes they are finger lickin’ good. 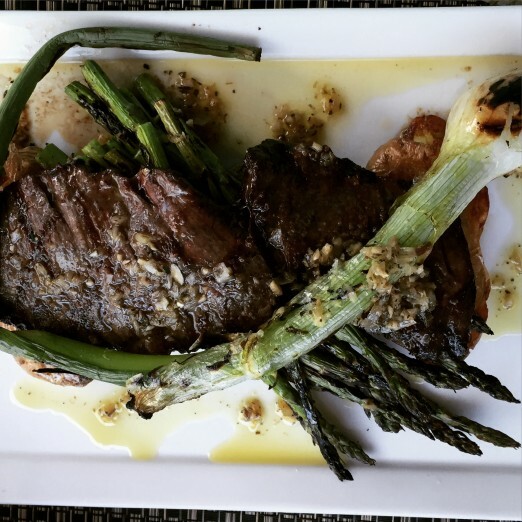 Meg had the Skirt Steak served with smashed fingerling potatoes, grilled spring onions, asparagus and chimichuri sauce. The new menu items were delicious and it was SO nice to be enjoying them outside. Make sure you stop in and say “Hi” to the We Heart crew during our Thursday night Happy Hour on the 7th, or come by for any one of the outdoor events. 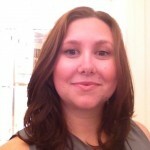 Emily Rios manages special events, sponsored content and advertising clients as WHA's Business Development Director. She is a passionate and dedicated youth developer with a strong background in non-profit management, and works as Senior Manager of Youth Leadership at generationOn.